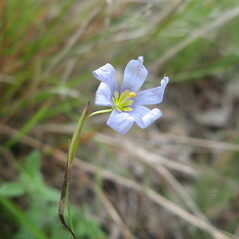 Coastal plain blue-eyed-grass, as the name suggests, is native to the coastal plain from Mississippi to Massachusetts. In New England it is a very rare inhabitant of sandy grasslands and pine barrens in Massachusetts and Rhode Island. leaf blades not persisting as fibrous tufts, ovary dark brown to purple-black, in contrast to lighter foliage, and capsule dark brown to purple-black (vs. S. fuscatum, with leaf blades persisting as fibrous tufts at base of plant, ovary green, similar in color to foliage, capsule usually light to medium-brown). 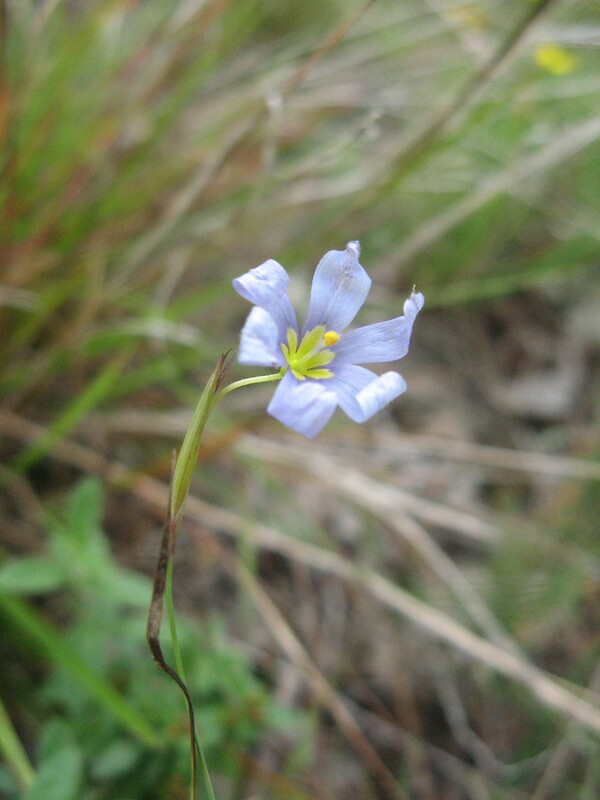 coastal plain blue-eyed-grass. Sisyrinchium arenicola Bickn. • MA, RI; also reported from CT by Eaton (1958), but specimens are unknown. Mesic to xeric, usually sandy, grasslands.